What a game last night! The energy and emotions ran high as the Texas Stars rolled over the Adirondack Flames in a 7-4 win. It was a night of celebrations, hugs, and friendly chats - not to mention a long list of penalty minutes and misconducts on both sides. 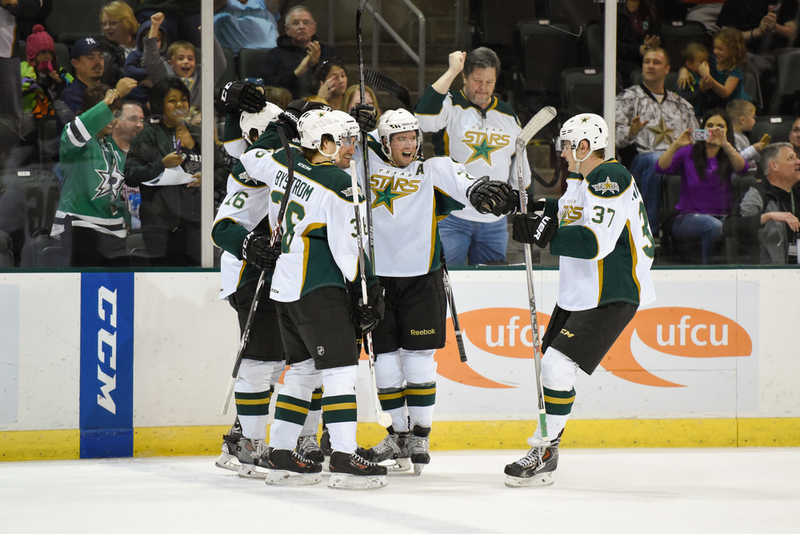 The Stars proved once more that they won't be pushed around in their house.